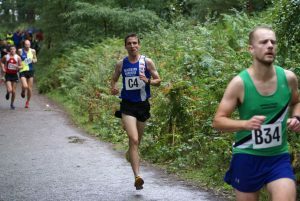 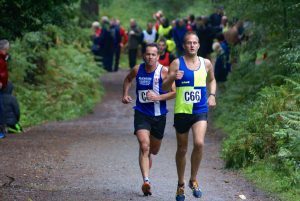 Delamere Forest was the venue for this years North West Relays run on a trail surface throught the forest rather than road. 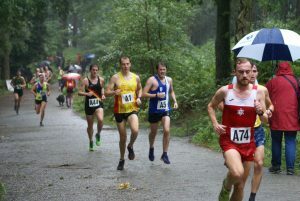 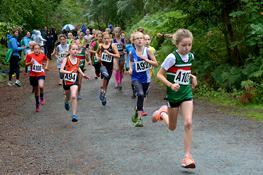 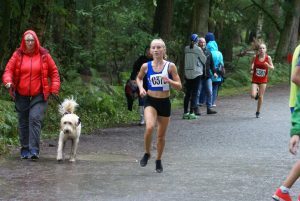 The glorious summer weather we have enjoyed was replaced by rain throughout the day but that didn’t stop the enthusiasm of either athletes or spectators and none more so that in the ranks of Blackburn Harriers who fielded twenty eight teams in every age group, both male and female. 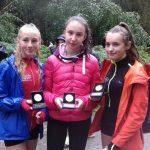 Great efforts by the Club athletes mean that we came away with four Lancashire Gold Medals, six Lancashire Silver Medals, five Lancashire Bronze Medals and a North West Silver Medal. 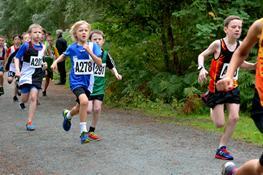 The day started with the U11’s featuring 32 Boys teams of which five were from Blackburn Harriers and 34 in the Girls of which two were Blackburn. 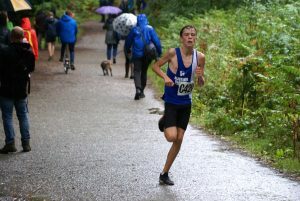 The Boys teams placed 6th (Jacob Joyce 4.30 – Oliver Gill 4.36 – Sam Aspey 4.31), 15th (George Ramsden 4.45 – Charlie Haworth 4.48 – William Grundy 4.50), 16th (Theo Robinson 4.45 – Felix Thompson 4.57 – Findlay Carroll 4.43), 29th (Loucas Lancashire 5.03 – Alexander Brien 5.32 – Harrison Waite 5.10) and 32nd ( Issac Smith 5.22 – Sam Craven 6.24 – Evan Potter 5.34) overall, taking the team Silver Medal in the Lancashire Championships as the other Hrriers teams finished 4th, 5th, 7th and 8th. 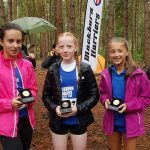 The U11 Girls teams came home in 16th (Hannah Davies 5.14 – Isabella Pacelli 5.19 – Imogen Robinson 4.56) and 34th (Tippi Francis 5.41 – Lulu Sharp 5.38 – Leah Smith 5.59) overall and also won a Team Silver Medal in the Lancashire Championships along with a 5th place. 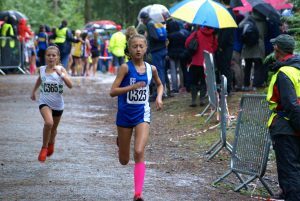 In terms of Fastest Legs the U11 Boys had four of the fastest ten times in Lancashire, replicated by the U11 Girls who did exactly the same. 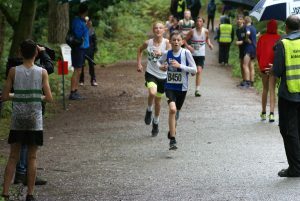 The U13 Boys put in a great performance to finish 2nd in the North West (Dexta Thompson 11.41 – Jonathan Brindle 12.10 – Isaac Butler 11.24), 8th (Codie Dewhurst 12.43 – Benjamin Livesey 12.36 – Theo Watson 12.24), 22nd (Harry Sambrook 13.56 – Daniel Smith 12.36 – Saul Sharp 14.00), and 23rd (Lewis Hardman 14.04 – Umair Rafiq 13.23 – Jack Paget Fowler 13.14) and winning Gold and Silver Team medals in the Lancashire Championships, clocking two of the top ten fastest North West Legs and seven of the fastest ten Lancashire Legs. 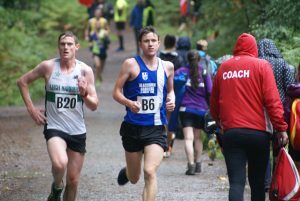 Chris Thompson Team Manager for U11 Boys & Girls plus U13 Boys ……. 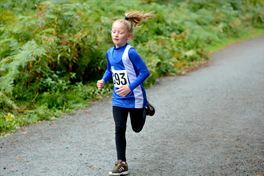 “I was really proud of my teams, having 5 boy teams in the under 11’s which it’s self was amazing and 2 girl teams was very nerve racking wondering if they would all turn up on the day, I know most of them were first timers so you always have that doubt if they would turn up especially in the weather conditions etc but each and everyone of them did themselves proud on the day and it was a great introduction to these events for the future. 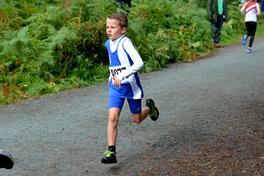 It’s also great to see all the parents cheering on all the other little harriers also. 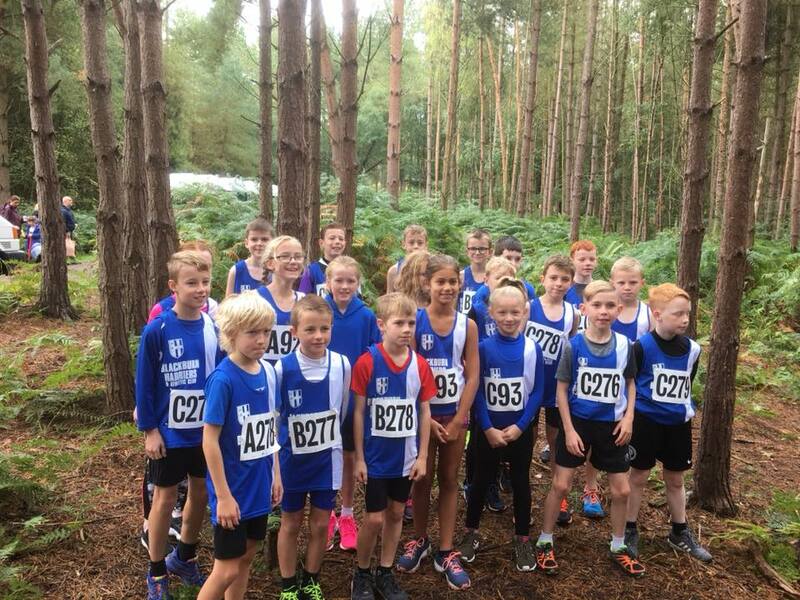 The under 13 boys also did great also, unfortunately I had to adjust the team slightly but was once again so pleased that all my 4 teams turned up and managed to run as complete teams and like the younger age groups we have quite a few first timers who enjoyed them selfs so much I can’t wait to do it all again at sportscity”. 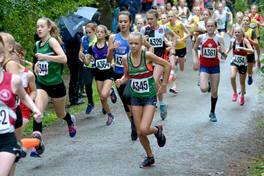 The U13 Girls won Gold and Silver Team Medals in the Lancashire Championships placing 12th (Kate Cookson 13.34 – Caroline Woodworth 13.52 – Keira Haxton 14.00), 16th (Molly Grimshaw 13.31 – Isabelle Hartley 14.33 – Lucy Ramsden 14.18) and 24th (Keira Booth 13.35 – Eva Knowles 15.08 – Amelia Burton 14.34) overall in the North West and included six of the fastest ten Lancashire Legs. 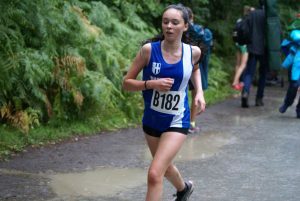 Two teams in the U15 Girls placing 10th (Leah Hoole 13.16 – Hollie Cubbon 13.35 – Eleesha Charnley 12.09) and 27th (Rebecca Ramsden 14.32 – Sophie Stanworth 14.15 – Emelia Cussans 14.41) overall which was good enough to win them the Team Gold for Lancashire, and clock the fastest Lancashire Leg – (Eleesha Charnley) – with another three of the athletes included in the fastest ten times. 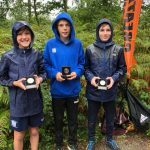 Michael Sharp & Andrew Knowles Joint Team Managers U13 & U15 Girls commented after the Championahips “Really proud of all the u13 and u15 Girls.On a day when it was more suited for river rafting ,they ran with true grit and determination and did the club proud.They are a great bunch who are always there for each other.Would like to mention the under 11s,for some the first relays were brilliant.Their race was chaotic to say the least.Well done everyone”……. 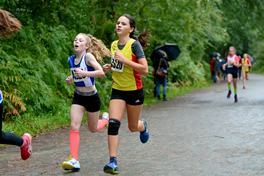 Andrew Knowles “U15 and U13 Girls, Great to have 5 teams out, and what a result, Double Gold in the North West Relay Championships, but i was equally delighted for our U13 Girls B team who took Silver with Molly Grimshaw running the fastest leg! 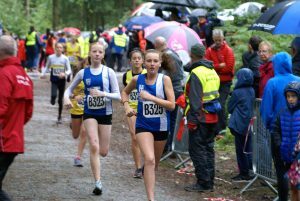 Well done girls”. 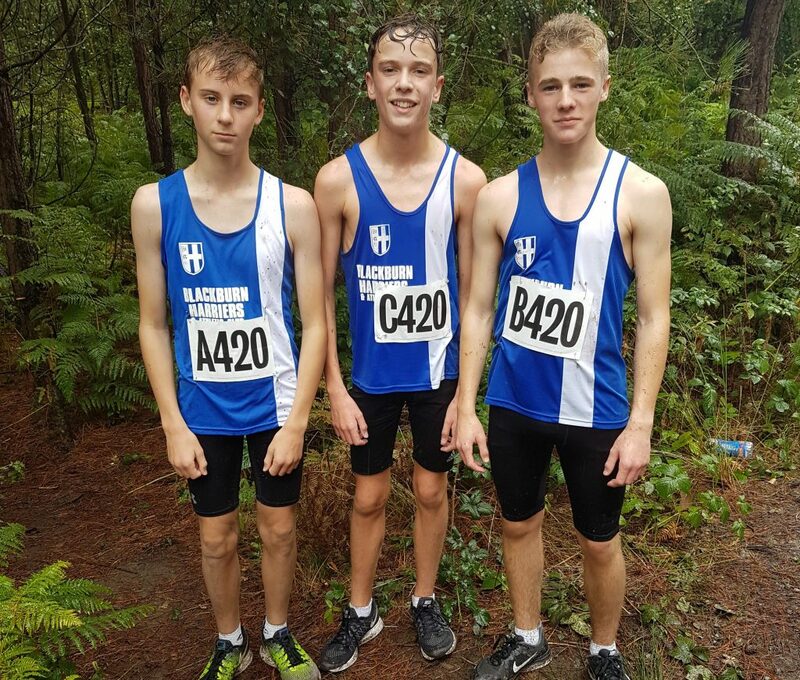 The U15 Boys did really well with 10th (Hayden Mercer 11.43 – Kyle Taylor-Pomfret 11.50 – Harvey Ashworth 11.10) and 24th (Ethan Barbarewicz 11.51 – Sebastian Burton 13.59 – George Whittaker 12.26) places overall, taking Silver and Bronze in the Lancashire Championships with Harvey Ashworth posting the 2nd fastest Lancashire time with another five in the top ten fastest Legs. 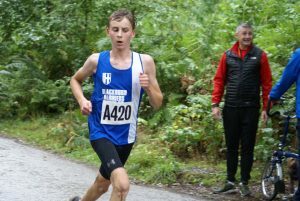 Just one team in the U17 Men’s Relays who came home in 7th (Jamie Teare 11.45 – Sam Hodkinson 10.41 – Matt Ramsden 10.14) position overall – Matt Ramsden posting the 7th fastest North West Leg – and taking a Lancashire Bronze Team Medal with Matt Ramsden running the 2nd fastest Leg and Sam Hodkinson the equal 6th of the fastest ten Legs in the Lancashire Championships. 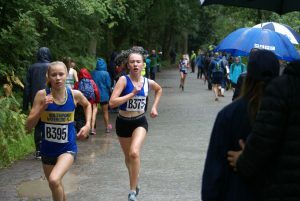 In the U17 Women’s team there was just one team also which saw them finish 8th (Amy Davies 11.58 – Alex Taylor 15.07 – Chloe Gardner 15.21) overall and 2nd in the Lancashire Championships earning them a Silver Medal and had Amy Davies running the 7th fastest North West Leg. 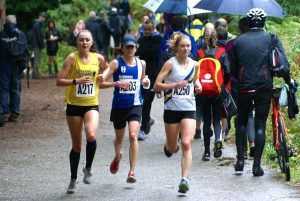 Injuries robbed the Senior Women of three complete teams which concluded in two teams plus a third team with just two runners competing. 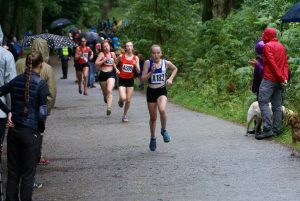 Great runs saw them finish 5th (Pauline Powell 23.34 – Maddie Elliott 25.47 – Rachel Wood 25.05) and 15th (Carmen Byrne 24.34 – Hannah Cookson 27.13 – Ellen Sager-Hesketh 28.10) overall which earned them a Lancashire Gold Team Medal. 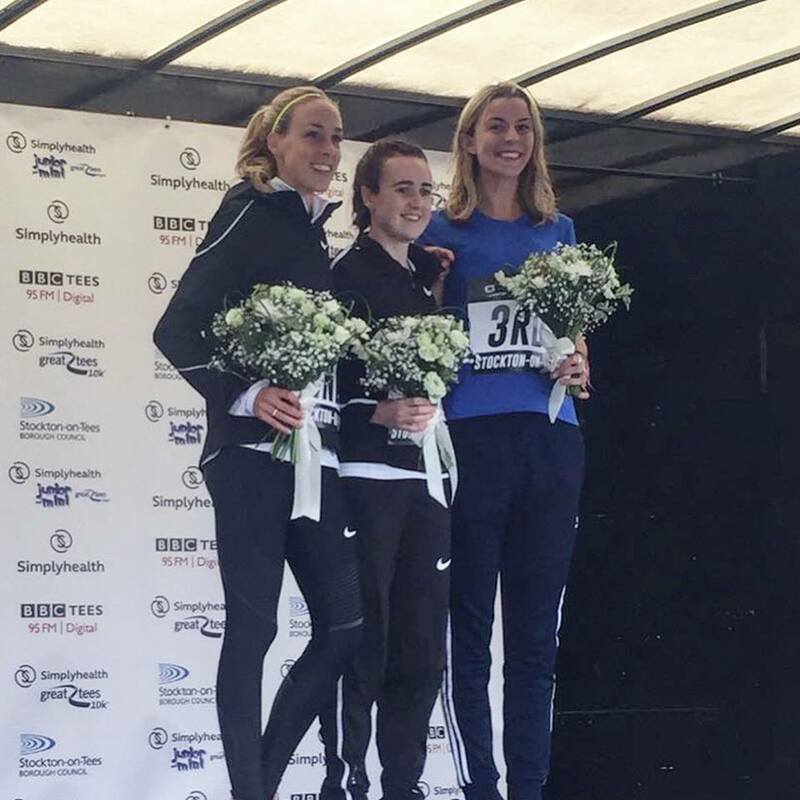 Pauline Powell ran the 8th fastest North West time and 2nd fastest Lancashire time with Carmen Byrne 3rd fastest, Rachel Wood 6th and Maddie Elliott 7th. 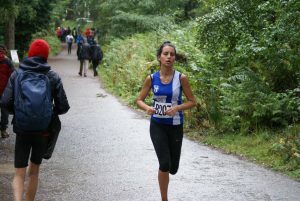 Lindsay Davies led off the 3rd Team which unfortunately was incompleteeand ran 29.09 with the second Leg clocking (33.46). 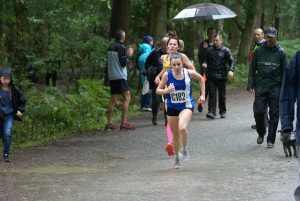 Joanne Nelson Senior Women’s Team manager said afterwards that she was “So pleased we managed to get 8 ladies to participate in the relays; almost 3 full teams which certainly would have been met had it not been for injury and illness in the week leading up to the event. 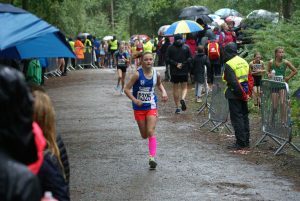 A superb effort by all the ladies in what were horrendous conditions (I noticed the rain only stopped when the 2nd leg of the men’s started; typical!) 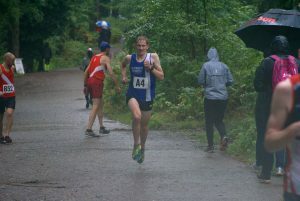 A great day out, even if a bit soggy. 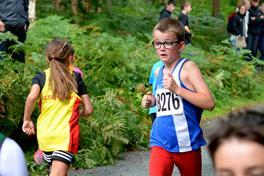 Looking forward to the next one”. 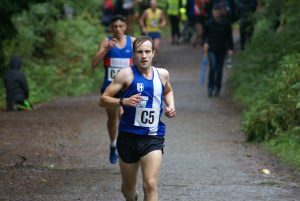 The Senior Men fielded five Teams who came home in 5th (Jack Hindle 20.22 – Marc Hartley 22.02 – Tim Raynes 20.13 – Chris Davies 21.50), 18th (Karl Billington 21.05 – Thomas Marchant 22.23 – Joshua Holgate 22.00 – Paul Brindle 22.50), 31st (Joe Gebbie 22.32 – Zachary Howe 21.49 – Paul Guinan 22.55 – Joseph Howe 25.13), 53rd (John Foster 25.02 – Sean Procter 25.05 – Nicholas Smith 25.07 – John Chaplin 26.03) and 69th (John Cookson 27.00 – Andrew Knowles 29.04 – Paul Jeffries 25.37 – Mark Almond 29.12). 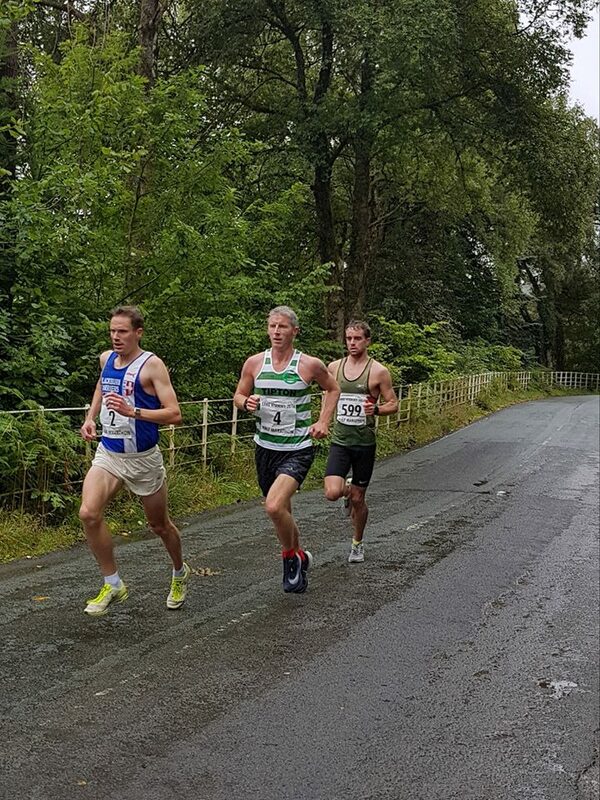 The ‘A’ team won the Bronze Medal in the Lancashire Championships which saw Tim Raynes post the 3rd fastest Lancashire time and Jack Hindle the 5th. 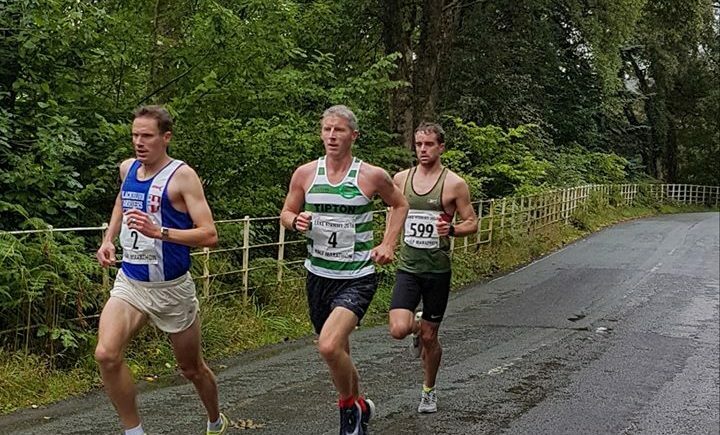 Speaking to the Club at the end of the day, Paul Guinan Senior Men’s Team manager remarked “Another excellent turnout from the Senior Men, 5 Teams in total, every runner giving their all, could not ask for any more, to top it all off the A Team taking 3rd Lancashire Team. 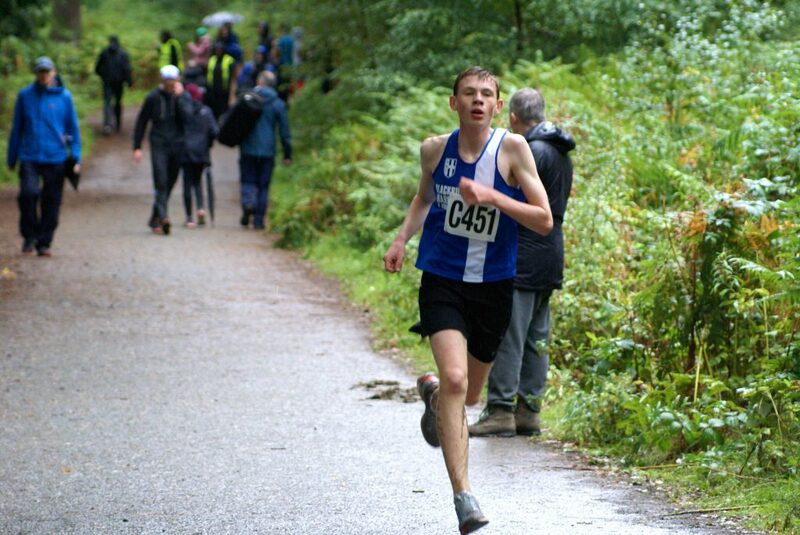 Brilliant”. 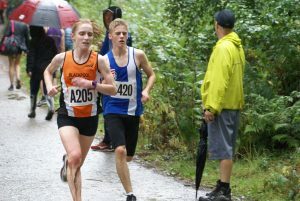 Jess Judd and Holly Bradshaw ended their seasons by competing at the Great North Games at the weekend with Jess running the One Mile Road Race and Holly competing in the Pole Vault. 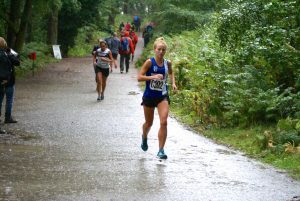 Jess ran the Senior Women’s race featuring nine international athletes in total and ran a season best time of 4.35 taking it on from the start to come home in 3rd place behind Susan Krumins (4.33) in 2nd and Laura Muir, the winner also in 4.33. 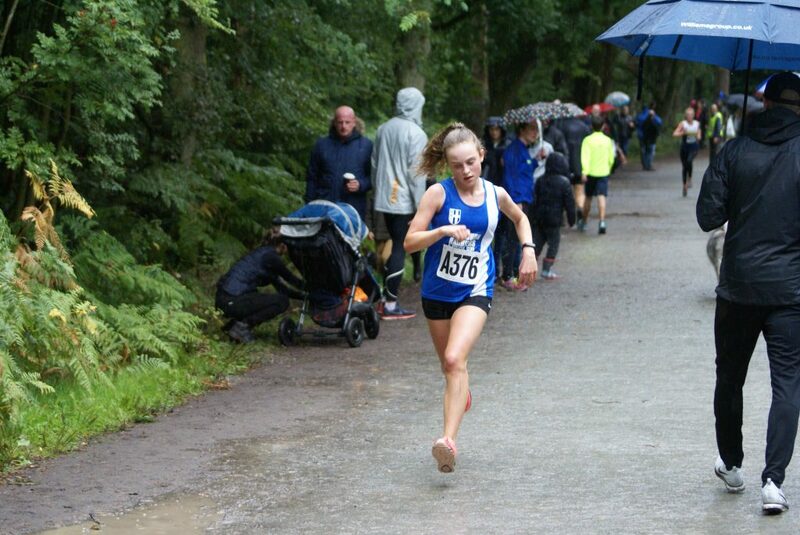 The week before at the Watford Open Meeting just missed a seasons best 800m by a tenth of a second as she clocked 2.04.39 and then ran 8.57.65 for the 3000m less than an hour later. 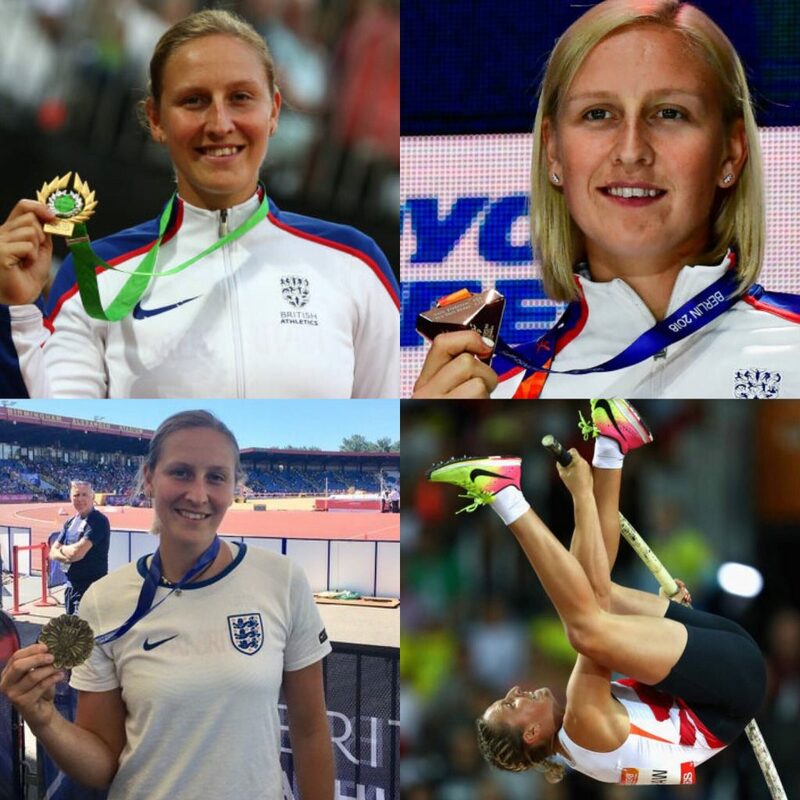 Holly has had a pretty good year as her list of achievements can testify: Winning Bronze in the European Championships, Winning her 10th British Title, Winning the World Cup held in the Olympic Stadium and is ranked 3rd in Europe and 6th in the world and a seasons best clearance of 4.80m. 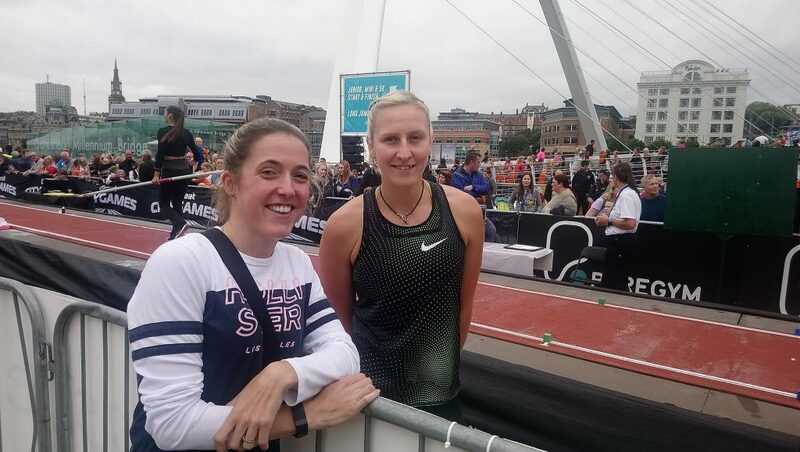 Her last competition at Gateshead saw her take another win with a clearance of 4.55m. 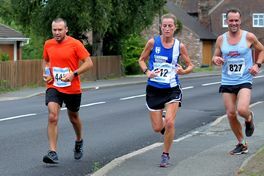 This is a very popular Half-Marathon race, set in picturesque surroundings around the lake and a great clurse for fast times. 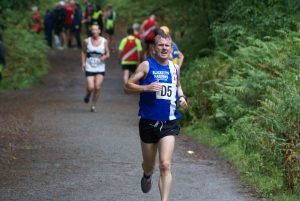 Thirteen hundred and sixty three runners enetered and finished this years race which was won by Stuart Hawkes in a time of 66.44. 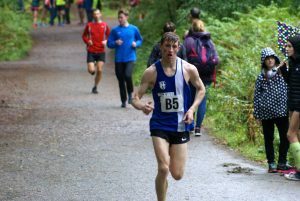 Ben Fish ran a seasons best by 50 seconds as he came home in 2nd place clocking a time of 67.03, a very good run following a bout of illness of late. 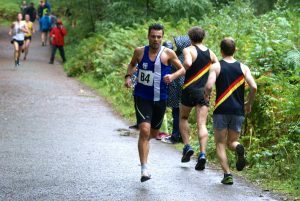 Later Ben told the Club about his race commenting “Stuart was in excellent form and it was neck and neck for most of the race. 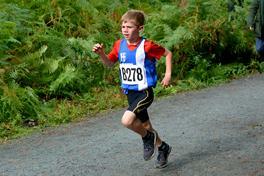 He had a fine run knocking 2 mins off his best. 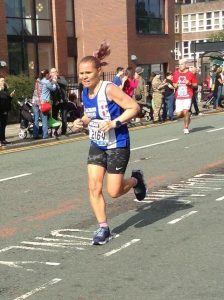 I’ve still got some work to do before relays and Manchester Half“. 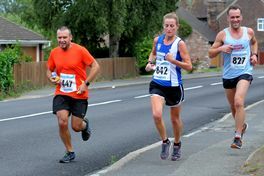 One thousand five hundred runners took part in this race won by Dan Cliffe in a pretty swift time of 31.51. 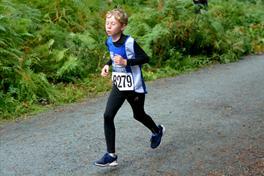 Among the runners were three Blackburn Harriers – Jacob Watson, Chris Davies and Lindsay Davies. 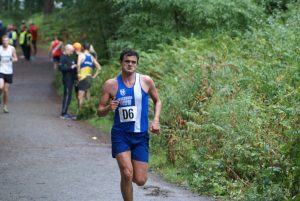 Jacob was running only his second 10k Race of the year and wasn’t far away from his personal best time as he came home in 4th place overall in a time of 33.37 with Chris one place further back clocking 33.57 in 5th position – both times being seasons best for the lads. 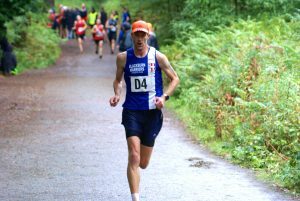 Chris also won the 1st V40 Prize as Lindsay Davies cut seven seconds off her previous best to set a new PB time of 46.17 in 236th place. 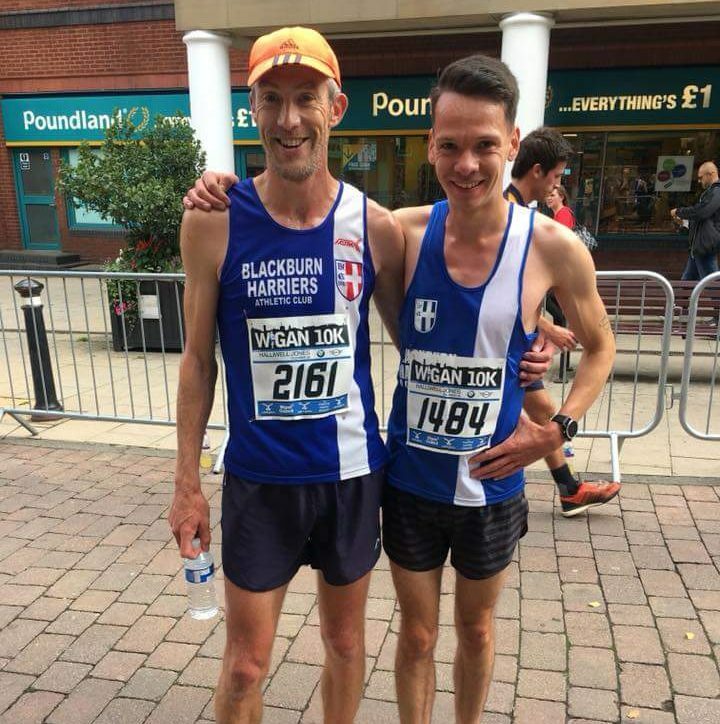 Blackburn Harriers Victoria Mousley and Paul Wilkinson joined the 40,000 other runners at this years Half-Marathon race won for the fiftth year in a row my Mo Farah in a fabulous time of 59.26 which equates to an average mile pace of 4.32! 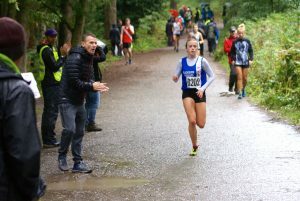 Victoria had an entry into the Elite Women’s Race – Number 204 – and was well spotted on the television in the blue & white as she finished 29th with a time of 88.52. 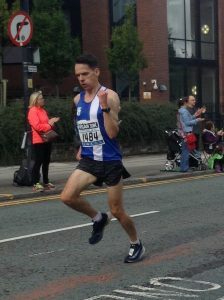 V45 Paul clocked a time of 2hr 02. 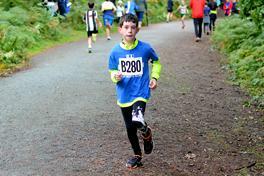 28 in 7696th position. 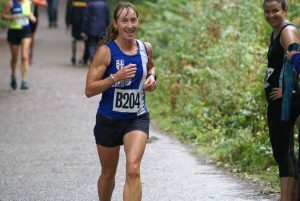 Rachel Wood won this Race for the Club in 2017 clocking a time of 2hrs 15.16 and this year, Joanne Nelson was attempting to win it again for the Harriers and nearly did it as she came home 22nd out of a field of one hundred and weighty four with a time of 2hr 21.14 to place 2nd Woman after battle with Katherine Cousins. 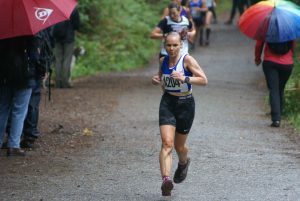 Joanne was also 1st Woman Vet and 1st V45. 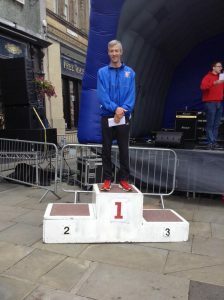 Brian Fogarty won this Middle Distance Triathlon which included a 1900m Swmim, 90k Bike Ride and 21k Run in a total time of 4hrs 08.31 nearly two minutes in front of the second placed triathlete with over 450 finishing the event held at Allerthorpe Lakeland Park in Yorkshire. 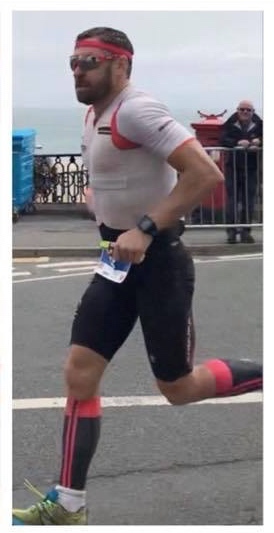 “1/2 Ironman event was a last minute decision to race as a tough training session for my big Race this week at Wales Ironman. 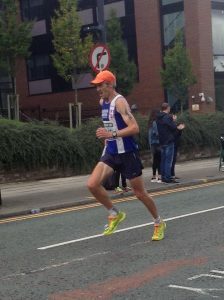 After a tough few months I felt a needed a good blast to blow off some cobwebs. 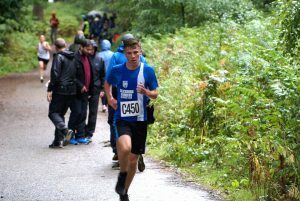 It’s a good event and I really enjoyed it. 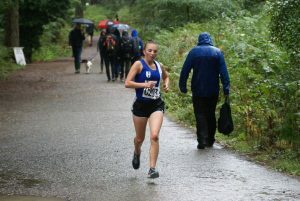 It turned out well and I was happy with how things went. 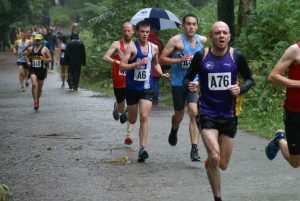 Hopefully I can build on this, going in to the race this week”. 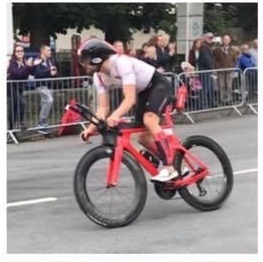 One week after winning the Sundowner Triathlon, Brian had an excellent result in the Wales Ironman finishing 7th overall in a combined time of 9hrs 30.51 – the winner Matt Trautman posting a time of 8hrs 53.21 an the only athlete to come home in under 9hrs. 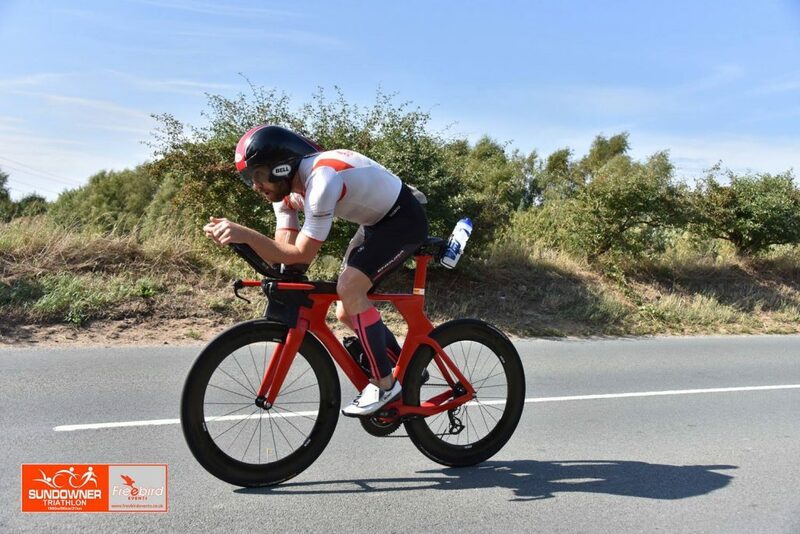 Brian took the 4th fastest bike time (5hr 01.31) and the 9th fastest time in the Marathon Leg (3hr 11.57). 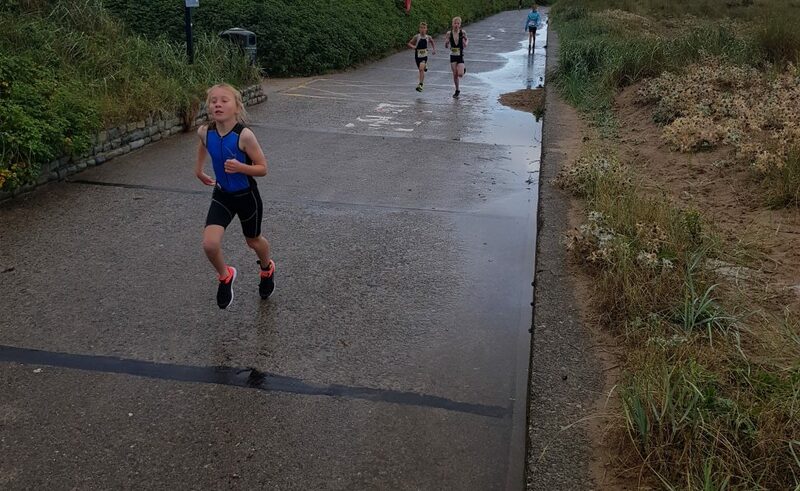 Junior Harriers take 1st & 2nd at Fleetwood Triathlon! 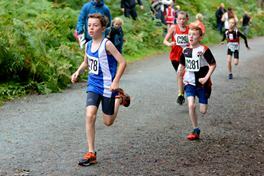 Some of the Juniors at Blackburn Harriers are also involved in the Triathlon as well as running for the Club, just like Senior athletes such as Brian Fogarty, Jack Hindle, Mark Bleasdale, Richard Fogarty. 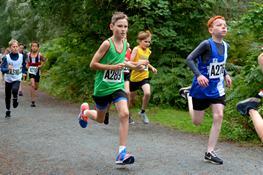 Showing their skills last weekend at the St Anne’s Triathlon were Matthew Smith, William Grundy, Emily & Harry Smith. 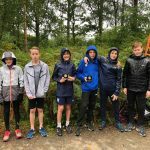 On a damp and dull morning all 4 faced getting their bikes and kit into transition in the rain, not a prospect anyone looks forward to! 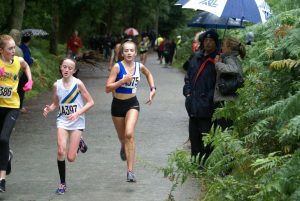 However they all persevered and by the time they started racing the rain had stopped and the skies brightened a little. 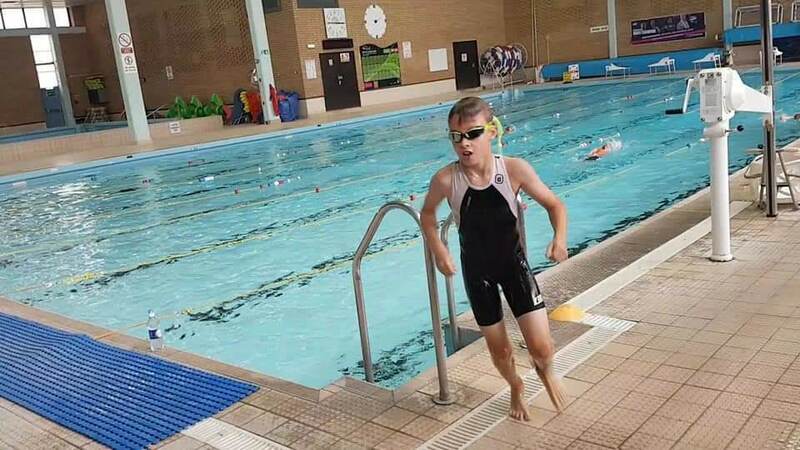 In the entry level Tristart category for 8 year olds, Harry Smith took part in a 50m swim followed by a 1500m bike then finishing with a 600m run, Harry had a fantastic race finishing 7th in a time 13 minutes 22 seconds. 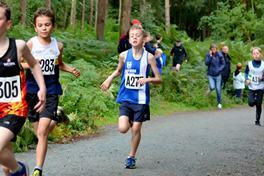 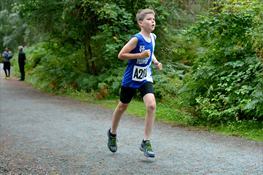 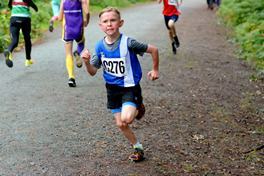 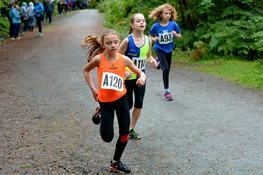 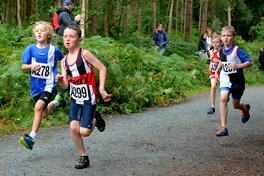 In the Tristar1 category for 9/10 year olds, Harriers had 3 athletes competing. 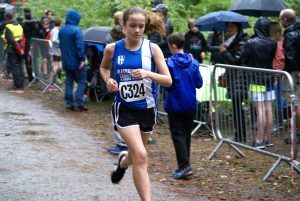 In the female race was Harry’s older sister Emily Smith, she completed the T1 race of 150m swim, 4000m bike then 1200m run in a time of 23 minutes and 53 seconds finishing in a solid 5th place. 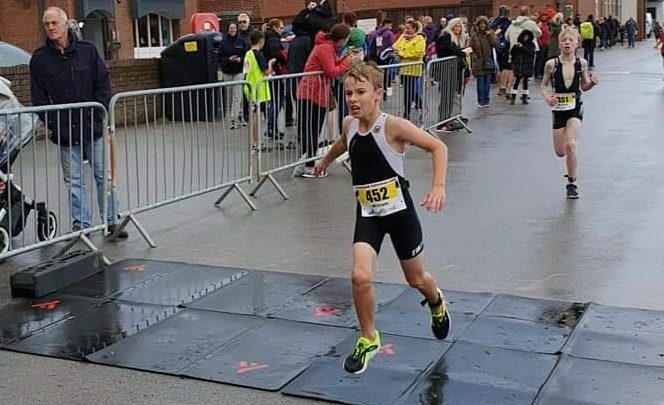 In the male T1(9/10yr) race it was anticipated that the battle for top spot was going to be between two Harriers in a re-run of the St Annes triathlon earlier in the year, with 10 year old Matthew Smith and 8 year old William Grundy going head to head. 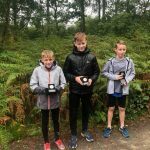 With both boys entering times of 2mins 45 seconds for the swim, this time it was William who was to set off first with Matthew 20 seconds behind. 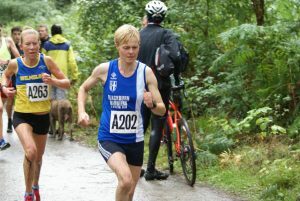 Unfortunately it appears the full timing chip results for each discipline haven’t become available, however on the day Matthew caught up with William on the bike section and they headed into transition near enough together to get onto the run course, throughout the 1200m run both athletes pushed themself constantly with the on course lead changing throughout. 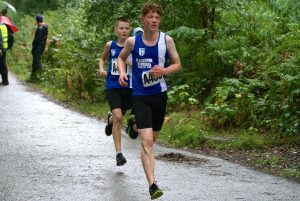 The battle continued right until the line with William crossing the line 1 second ahead of Matthew, meaning on timing chip Matthew took 1st place by 19 seconds in a time of 17 minutes and 17 seconds with William securing 2nd place in a time of 17 minutes 34 seconds a total of 1 minute and 8 seconds ahead of 3rd place. 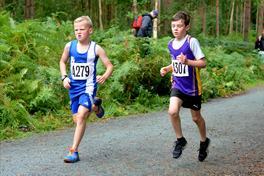 A fantastic race by both in a popular age group of 20 male competitors. 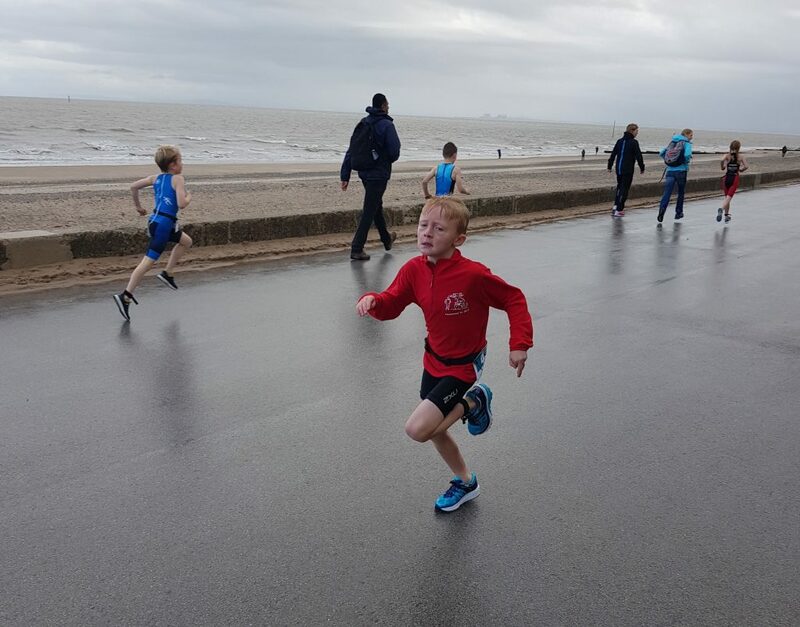 As the Track & Field season comes to a close there are still opportunities for young athletes to compete in Open medal Meetings, the latest of which took place at Blackpool at the weekend. 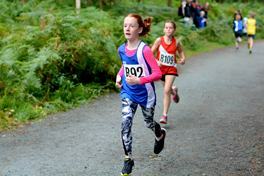 U13 Jessica Cole got the day of to a great start by winning her Heat and posting the fastest time of both Heats in the 70m Hurdles clocking 12.7. 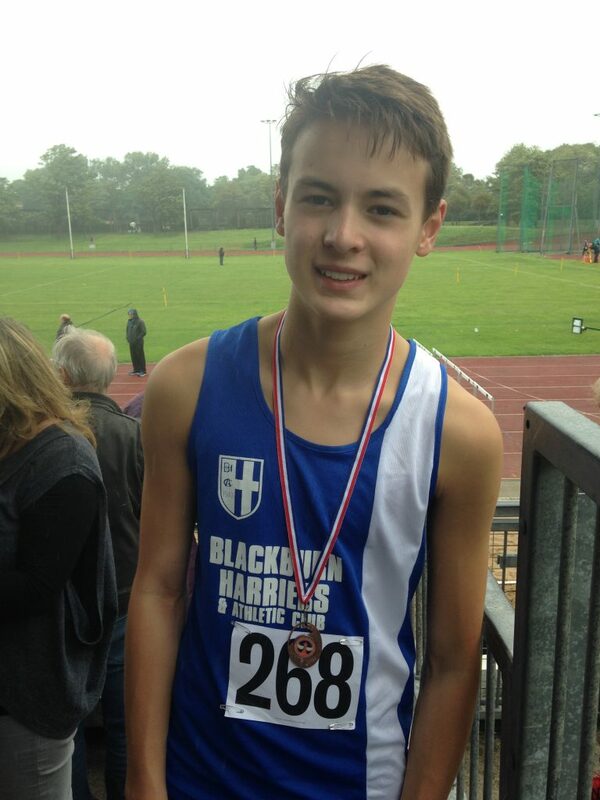 U15 Ben Boocock had a good day and end to the season as he cut a tenth of his 80m Hurdles previous best to set a new PB of 12.7 (3rd). 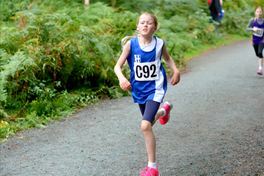 U9 Charlotte Smith who runs with great enthusiasm came 4th in 80m Heat in a time of 14.4. 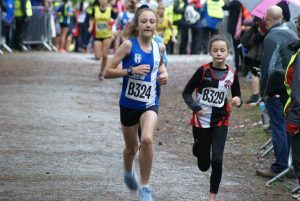 U11 Girl Alisha Lehner followed that new personal best with a new PB of her own as she ran 13.2 in her 80m Heat – an improvement by over a second; Lulu Sharp ran her first ever 80m on the day and finished 7th in 15.5 and then clocked 2.32.1 in the 600m for 9th place in the 14 strong field. 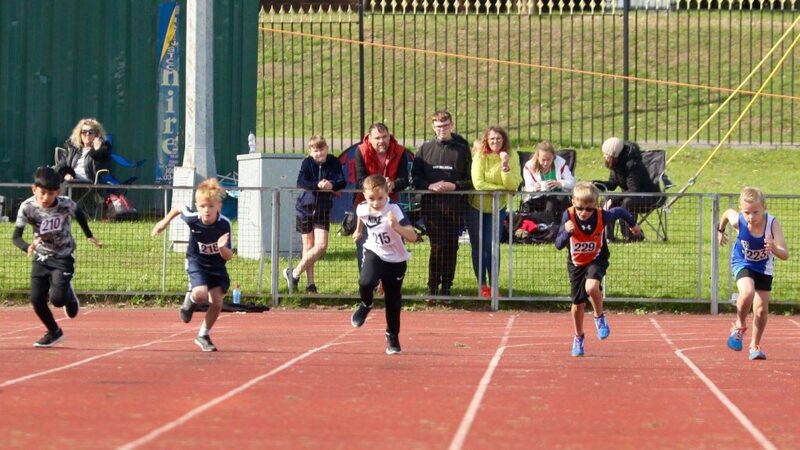 U11 Findlay Carroll also set a new PB by nearly a second in his Heat of the 80m, placing 6th in 13.5 as Loucas Lancashire clocked 13.4 (3rd) in his 80m Heat. 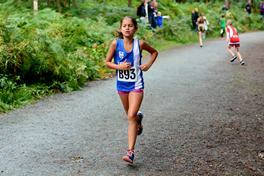 U13 Girl Hannah Eccles equaled her personal best of 14.9 as she came 6th in Heat 2 of the 100m. 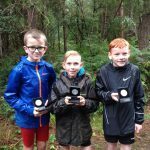 U11 Matthew Smith followed up his 600m win at Burnley the week before with another win in a time of 1.55.0 as he headed a field of eleven runners which also included Findlay Carroll (7th) in 2.14.8. 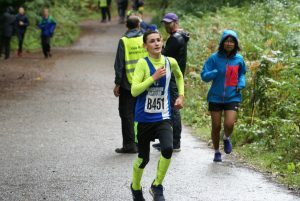 Saul Sharp (U13) and one of those youngsters who had run at the North West Relays the day before at Delamere ran 2.46.2 in the 800m for 4th spot. 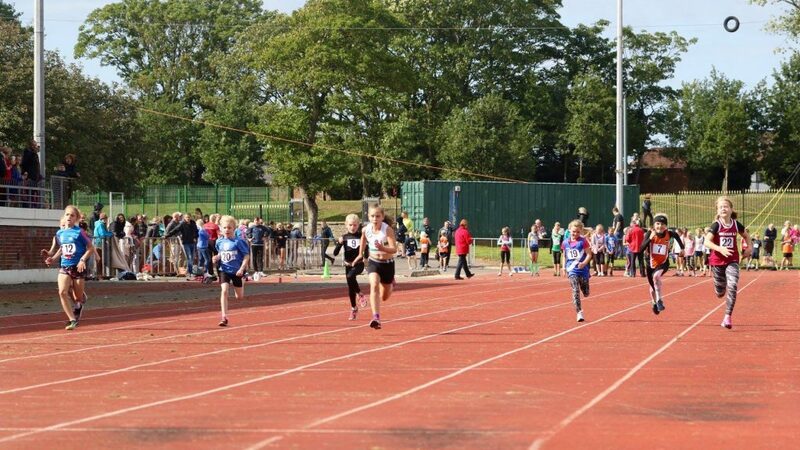 In the Field events Matthew Smith who had won the U11 High Jump at Burnley a week before clearing 1.41 for a meeting record, set another new PB of 1.43m as he came 2nd with the same height as the winner. 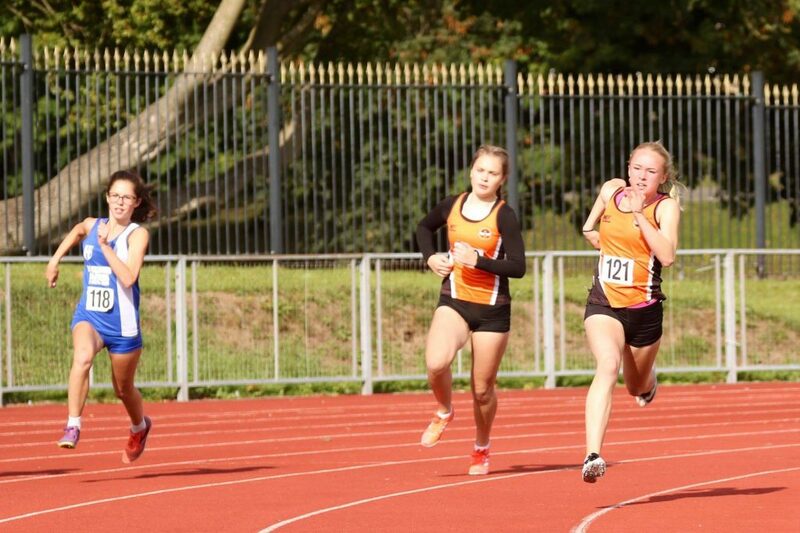 The U9 Girls Long Jump which had seventeen youngsters competing saw Charlotte Smith leap out to 2.55m (5th) and Lulu Sharp jumping 2.08m in 13th as Alisha Lehner placed 10th out of 19 with a jump of 2.98m in the U13 Girls Long Jump and a new PB by 28cms. 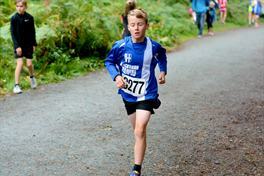 There was another new PB for Findlay Carroll as he placed 7th out of 15 in the U11 Boys Long Jump as he leapt out to 3.19m. 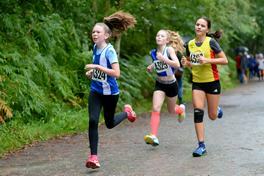 U13 Madison Bontoft came home in 4th place in the Shot Putt with 6.01m as sister Grace Bontoft finished 3rd in the U15 Girls Shot Putt with 6.70m and 3rd in the Hammer (26.47m). 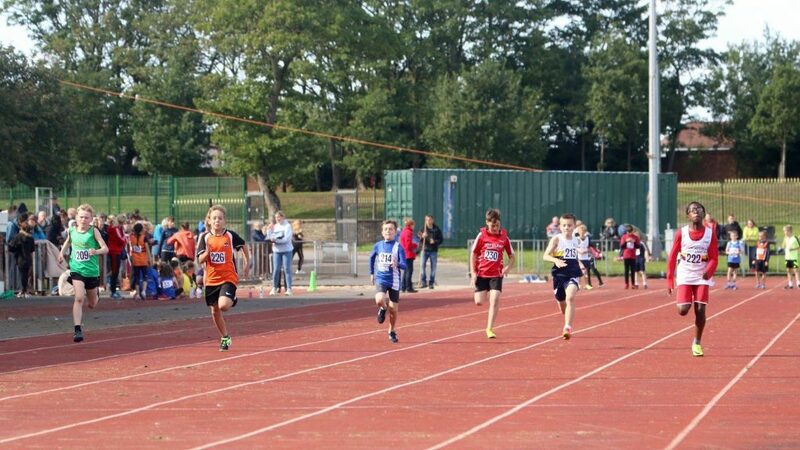 U15 Matthew Heywood competed in the Shot Putt and Discus finishing 5th in the Shot with 8.60m before going on to win the Discus with a throw of 30.31m and the Hammer with a new PB of 43.15m. 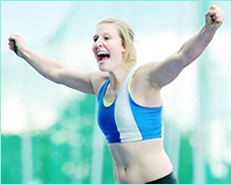 In the Senior Women’s Discus Anna Peers continued to rack up wins for the season taking this latest competition with a distance of 33.75m.